Any midsize sedan worth its salt will have impressive gas mileage compared to, say, a midsize SUV. That's true of both the Sonata and the Fusion. But which is better of the two? The answer is the Hyundai Sonata, which gets 25 city miles and 35 highway miles per gallon. But if you spring for the Eco trim, those numbers jump to 28 city miles and 37 highway miles per gallon. By comparison, the 2018 Ford Fusion gets just 23 city miles and 34 highway miles per gallon. 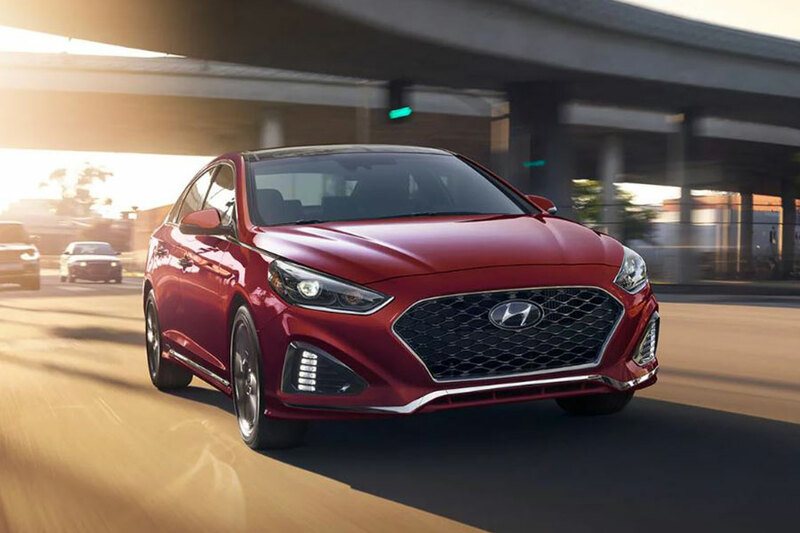 You do a lot better with the Fusion Hybrid, which cost anywhere from $26,000 to $42,000 depending on trim level, but if you're not looking to upgrade to a hybrid, you'll do better with the Hyundai Sonata. Reliability is measured in two ways: how likely it is to keep going without repairs and how good the warranty is when repairs are needed. The 2018 Hyundai Sonata and Ford Fusion are pretty evenly matched in their JD Power reliability rating. The Sonata earned a score of 3.5 out of 5 while the Fusion earned 4 out of 5. That means both sedans are above average compared to others in the sedan class. But the Sonata wins when it comes to the warranty. Hyundai offers a five-year/60,000-mile new vehicle limited warranty and a 10-year/100,000-mile powertrain warranty. Ford offers nearly half that: a three-year/36,000-mile basic warranty and a five-year/60,000-mile powertrain warranty. A warranty like that offers you double the peace of mind and coverage, which also gives your vehicle more trade-in value as well. The 2018 Hyundai Sonata gets high marks for seat comfort, interior tech, and cargo space. These three options are a winning combination, sure to put the Sonata well above the Fusion in most buyers' minds. You'll find decent head and leg room in the Sonata, along with supportive yet comfortable seats that certainly help on long drives. Hyundai's Blue Link infotainment proves amazingly intuitive and comes standard with Android Auto and Apple CarPlay. Finally, the Sonata boasts 16.3 cubic feet of cargo space, with a rear seat that folds down for more. The Ford Fusion has comfortable seats and a good infotainment system, but the Fusion offers less interior tech than the Sonata does. Many of the standard features on the Sonata are options on the Fusion that you'll have to pay for. You'll also note that there's less passenger room and cargo room in the Fusion. Yes, the Hyundai Sonata does daily drives better than the Fusion. Overall, the Hyundai Sonata is our clear winner. With double the warranty coverage, a more comfortable and spacious interior, and better fuel economy, the Sonata is well-positioned to make your daily life so much easier and more comfortable.